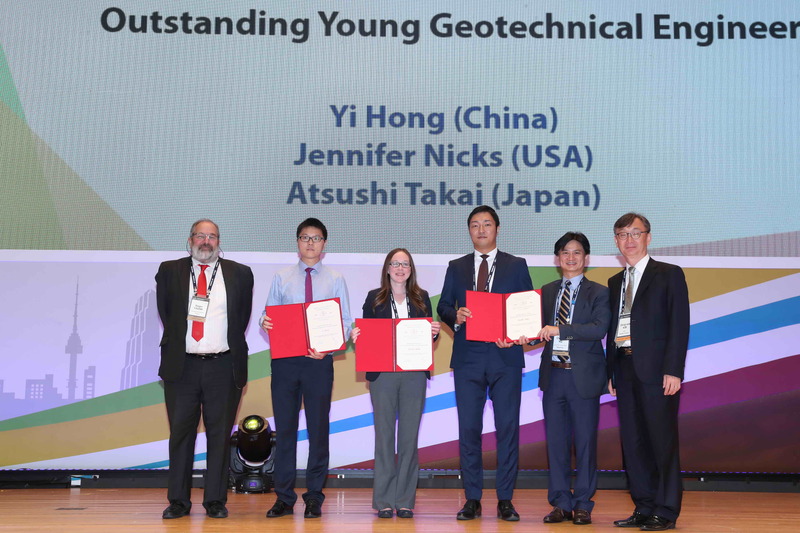 Atsushi Takai, Assistant Professor of Environmental Infrastructure Engineering, received the Outstanding Young Geotechnical Engineer Award from ISSMGE (International Society for Soil Mechanics and Geotechnical Engineering). This award is given to a maximum of 3 young researchers every 4 years, and Dr. Takai could be the 2nd Japanese recipient of the award. 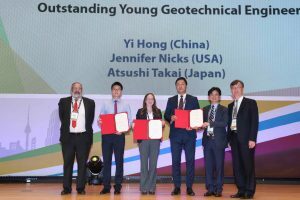 The award ceremony was held at COEX Convention Centre in Seoul, Korea, on September 18, 2017.